Don’t you hate it when the other team’s tank uses glitch magic to shove you into a sealed off area? That’s what happened to Reddit user TeaKei while playing on Temple of Anubis. Spotting an easy kill, the opposing Reinhardt player tried to charge TeaKei into the nearby wall only to see them disappear behind it. That would have been all well and good except that in this case “behind it,” meant being in the enemy team’s spawn area. TeaKei was trapped. In the complete clip you can can see the enemy team show up, mystified to find someone who doesn’t belong there, with TeaKei pleading for them to unleash a killing blow so they could respawn where they belonged and return to the fight. It would have been a funny enough moment Overwatch moment by itself except that there are instances of weird stuff happening around Reinhardts, seemingly ever since Blizzard released the game’s most recent patch late last week. 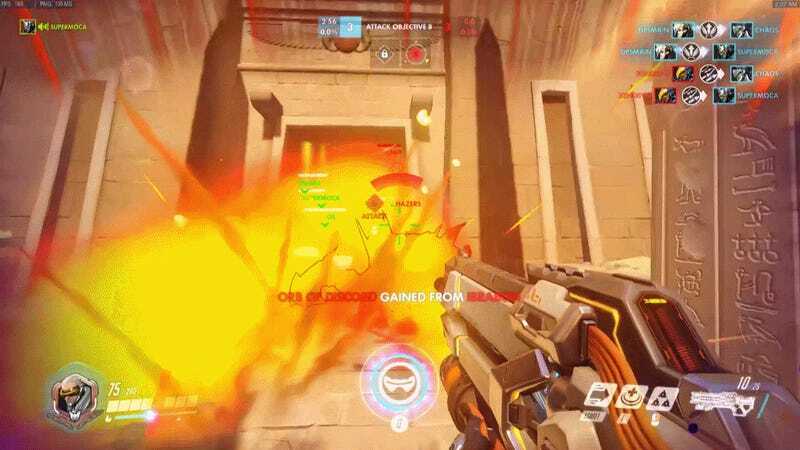 In another instance that blew up on Reddit, an unsuspecting Soldier 76 player found themselves locked in jail after a standard issue Reinhardt charge somehow managed to slip them through the bars. In that case, there was nobody else around to put Soldier 76 out of his misery, but fortunately while Reinhardt was busy admiring the strange handiwork a Mercy player managed to end the game. 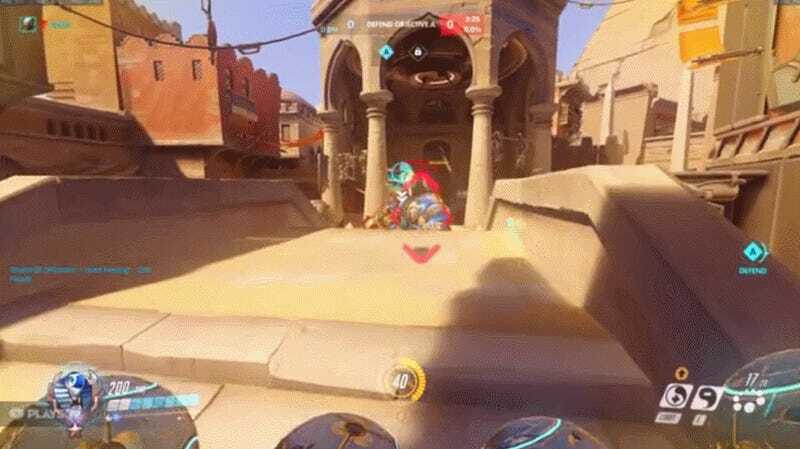 The wonkiness that time also happened on Anubis, so it’s possible that has something to do with the issue, although players have reported spotting weird Reinhardt effects on other levels as well. Also, Blizzard just patched Anubis in particular to fix a bug that “allowed players to reach unintended locations on Temple of Anubis,” so presumably they didn’t accidentally include another one alongside it. Instead, it probably has something to do with the character himself and his abilities, especially since the July 27 patch addressed a number of Reinhardt-specific things, including hammer swing time and issues with swinging while charging. So until Blizzard fixes this latest re-occurring glitch, I’d do my best to get the hell out of the way the next time you see that steel-armored bro come charging. Otherwise you might find yourself clipping into oblivion.